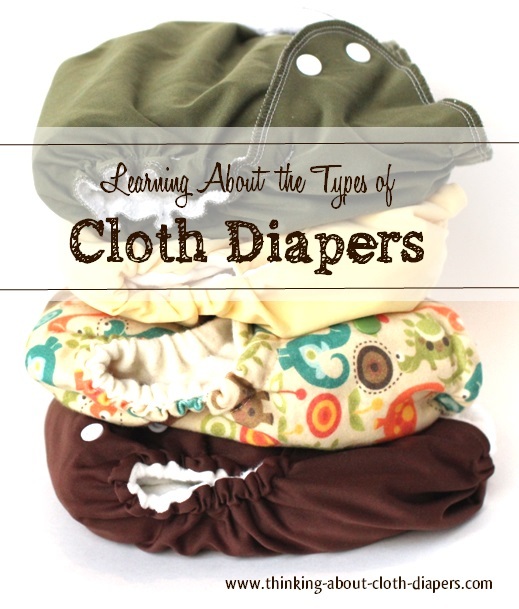 If you're new to cloth diapering, the differences between cloth diaper inserts, doublers, boosters, and soakers can be confusing to say the least! 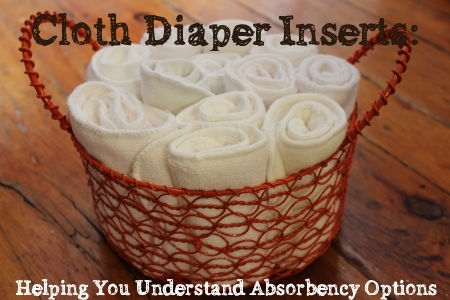 Here we review absorbent options for your diapers, and talk about fabric types too! By the time you're done this article, we hope we'll have cleared up any questions you might have about inserts and cloth diaper absorbency. Inserts are designed to be stuffed into pocket diapers. They are usually rectangular, and are made of absorbent material. Doublers are used with cloth diaper inserts to provide extra absorbency in a pocket diaper. While you can use two inserts, the extra bulk sometimes means the elastic doesn't fit snuggly around your baby's legs, leading to leaks, especially at night. Doublers are sometimes cut in an hour-glass shape that reduces bulk around the legs. Other times, doublers are smaller rectangles, and can be used as a newborn cloth diaper insert when the full-size insert is still too bulky for your tiny baby. Inserts and doublers can be made out of a variety of materials. Pocket diapers are designed with a stay-dry layer of fleece, minky, microsuede, or other fabric that wicks moisture away from baby. Because of this barrier, microfiber is a fairly common pocket diaper insert. You shouldn't place microfiber right next to your baby's skin (such as in AIOs and AI2s), since it can cause dryness and irritation. Soakers are designed to be used with All in Two cloth diapers. All in two (AI2) cloth diapers consist of a shell or cover, plus an absorbent soaker that either snaps or lays inside of the shell. When the diaper is wet, you can change the insert, and reuse the shell. Soakers are also sometimes incorporated into fitted diapers (for example, the snap-in soaker in the Bamboozle from TotsBots). Boosters are used with a soaker to provide extra absorbency. Boosters are also often added to all-in-one diapers for heavy-wetters and for overnight use. Soakers and doublers are most commonly made with natural fibers such as hemp and cotton, and also bamboo. If you plan to use a doubler made of microfiber or Zorb soaker, you'll want to make sure that it incorporates another layer of fabric next to baby's skin, to avoid dryness. NOTE: Wool diaper covers are sometimes also called soakers. These are not absorbent, so we won't talk about wool soakers in this article! You can read more about wool soakers at Types of Cloth Diapers. There are two types of diaper liners. Biodegradable liners: Made for a single use, these soft paper-like pieces of fabric are used to make clean-up of poopy diapers easier. You simply lift the liner out, and flush it all down your toilet. Oso Cozy and Bummis are two of many brands of flushable liners. You don't even need to know how to sew to make your own stay-dry liners. Microfleece won't unravel, so making your own liners is as easy as cutting up a piece of fleece! What Types of Absorbent Material Are Used? Cloth diaper inserts are often made of cotton, hemp, bamboo, microfiber, or Zorb. For soakers, the absorbent material is sometimes topped with microfleece (such as the Soft Bums Echo microfiber soaker), or cotton or bamboo velour. Cotton is one of the oldest and most familiar fabrics used in cloth diapers. This natural fabric is affordable, absorbent, and available everywhere! Fitted diapers and some all-in-ones use knit cotton, but prefolds and many other inserts are made of woven fabric. Infant prefolds can be folded into thirds to make good cloth diaper inserts for your pocket diapers, too. Bamboo fleece is a popular option for cloth diapers. It is super soft, wicks moisture away quickly, and can keep your baby comfortable even when wet. There is, however, some misunderstanding about the eco-friendly nature of bamboo fabrics. Bamboo fleece is essentially a synthetic, not a natural fabric. Our article on bamboo fleece will give you more information so you can make an informed decision. Hemp inserts are a real work-horse in the cloth diapering world - they are durable and super thirsty! You won't find much 100% hemp fabric, it is usually blended with cotton (45% cotton, 55% hemp), which makes it softer and more comfortable. Hemp can come off the clothes line quite stiff, though, so you may want to soften it up in the dryer! For my son, we used hemp cloth diaper inserts almost exclusively. The hemp inserts and boosters from AMP Diapers are one of my absolute favorite products! Microfiber is a man-made, absorbent material. Made of a polyester/polyamide blend, they are light and fast-drying. You should use a barrier, such as fleece liners, between a microfiber insert and your baby's skin, because microfiber can dry out and irritate their sensitive skin. Microfiber is also a little like a sponge - since it's fluffy, moisture may "wring out" of it when subjected to compression. In general, layer for layer, bamboo, hemp, and cotton are trimmer and more absorbent than microfiber. Introduced to the cloth diaper inserts market by FuzziBunz, minky is an absorbent man-made fiber. Minky provides similar absorbency to microfiber, but is less bulky, repels stains better, and doesn't feel rough like microfiber. As well, they are supposed to be easier to clean than microfiber, meaning you may face less stink issues over time. Have you heard of Zorb yet? Although I had seen it sold on Wazoodle, my first experience with it was in an all-in-one from Mother-Ease, called the Wizard Uno (which, by the way, we love!) Zorb is a blend of bamboo, cotton, viscose and microfiber. It was designed specifically for cloth diapers, with the goal or reducing costs and improving performance. Each layer of Zorb replaces 2-3 layers of cotton, bamboo, or hemp terry, or microfiber. The manufacturer claims that it absorbs moisture 20x faster than other fabrics, and will hold more moisture. It's apparently a miracle fabric for diapers too - it's much less likely to have stink issues that need stripping from hard water or detergent residues! Hybrid diapers haven't been around as long as other cloth diaper options, but these provide added flexibility for families who may choose to switch between cloth and disposable diapers. With hybrid diapers, such as Flip, G-Diaper, and Grovia, you can purchase special disposable inserts that can be used in their branded cloth diaper covers. Perfect for times when you don't want to carry wet or dirty diapers back home with you at the end of the day! How do I care for my cloth diaper inserts, soakers, or liners? Cloth diaper inserts, soaker pads, and reusable fleece liners can be washed with the rest of your laundry, no special care needed! Read our article on washing cloth diapers for more information about prepping your inserts for their first use, detergent choices, and laundry routines. Don't forget to think about the insert when you compare different brands and styles of diapers. Some diapers come with cloth diaper inserts included in the price, while for others you have to buy them separately. Microfiber inserts come with many cloth diapers. Lots of parents decide to replace these inserts with more effective absorbency options. We share some of our favorite inserts below. If you're looking for overnight diaper options, we've written more on night-time diapering here. There are lots of great cloth diaper inserts on the market today. I started out using pocket diapers, but have since added AIO's and AI2's as well, so I've tested a number of insert and soaker options. I use mostly natural fiber inserts, and prefer them over microfiber for so many reasons. Lots of pocket diapers come with fluffy microfiber inserts included, and they are usually the least expensive to buy. I never fell in love with microfiber, and it's unlikely you will either (when I ask readers about inserts, complaints about microfiber always surface!) 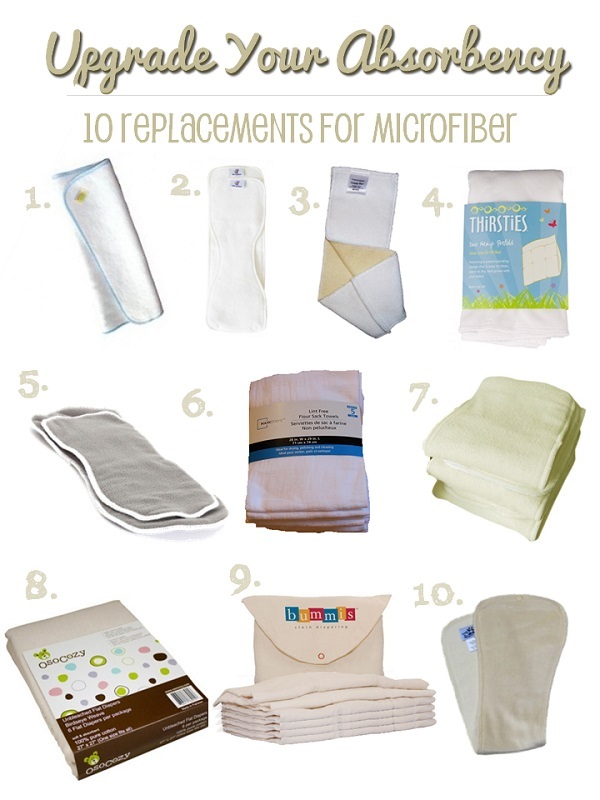 If you decide to "upgrade" your inserts from microfiber (for trimness, absorbency, or other reasons), there are lots of great absorbency options available, including 10 of our favorites below! In no particular order, below are some of the inserts we love. AMP 2-Layer Hemp Tri-Fold Inserts - I LOVE these inserts, and we used them almost exclusively with my first. They are similar to a prefold - they have to be folded in half or thirds to fit into a diaper, so they dry more quickly than multiple layers of hemp sewn together. I bought an AppleCheeks 2-layer bamboo insert, and it was super-soft, but it didn't compare to the AMP Hemp in terms of absorbency. $6.95 from Cozy Bums. Rumparooz 6r Bamboo Insert & Soaker Set - I discovered this insert when I purchased an EcoPosh pocket fitted diaper. This set includes a 3-layer contour-shaped newborn insert and a snap-down 4-layer one-size insert that snap together. It is made of bamboo and organic cotton blended with polyester fleece for durability. Once fully prepped, this set has gotten us through the night several times, but I also love that it does offer a lot of flexibility with configurations. $12 from Diaper Junction. Knickernappies LoopyDo - prewashed and ready to absorb! 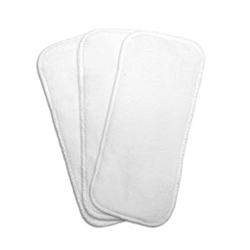 These inserts offer a great solution for absorbency without compromising drying times. Made of hemp and microfiber layers sewn in a loop that allows for faster drying times. These are my sister's favorite inserts, and they are incredibly durable - she gave me some of them after she had used them for 18 months, and they are still in rotation for us another 18 months later! $7.49 from Amazon. Thirsties Duo Hemp Prefolds $8.85 from Amazon. Mainstays Flour Sack Tea Towels - these may be the cheapest inserts, price wise, on my list, but do not underestimate them. Made of a single layer of gauze-y 100% cotton fabric, these towels can be pad-folded and laid in a cover, or tucked inside a pocket. They are absorbent and easy to wash. $13.97 for 12 from Amazon. OsoCosy Birdseye Cotton Flats - these are old-school cloth diapers - a simple 27" square made of a single layer of fabric. They are incredibly absorbent, and I like to pad-fold them, which creates 12 layers of fabric. These are my favorite overnight solution - I use 2 of them inside a wool wrap - they are thirsty and rinse out very easily (no more issues with concentrated urine residues!) $21 for 12 from Amazon.